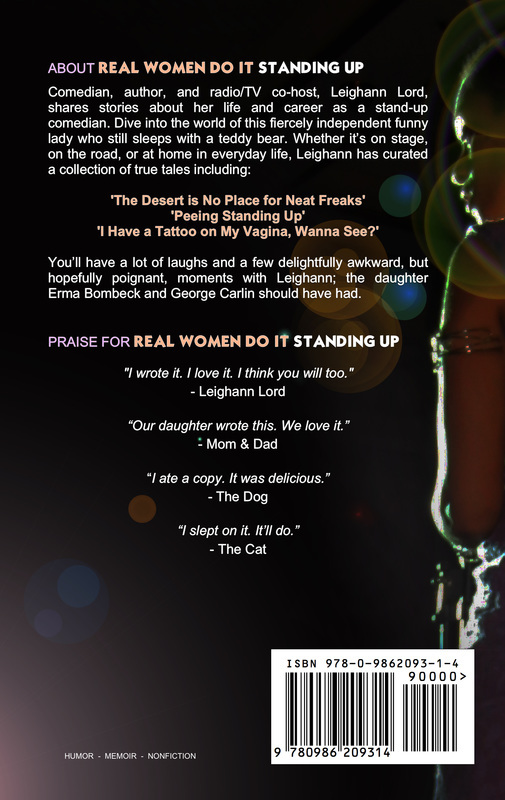 You’ll have a lot of laughs and a few delightfully awkward, but hopefully poignant, moments with Leighann; the daughter Erma Bombeck and George Carlin should have had. Today – not all that long ago – I stepped on stage to do stand-up comedy for the first time and my life was forever changed. With a microphone in my hand I have traveled further, flown higher, and burned brighter than with anything else I could have chosen to do with my life. 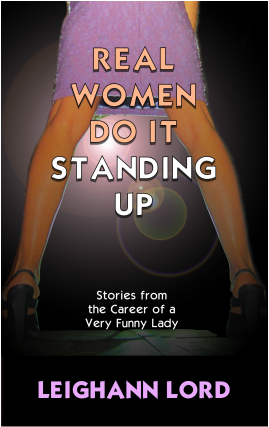 Stand-up has given me my deepest heartaches and my greatest joys. It has wounded and healed me. Stand-up comedy has introduced me to the most awesomely talented and deeply troubled people I have ever met; many of whom I am proud to call my friends and fans. I’ve given up many things to do stand-up and it has given me gifts beyond measure. Knowing what I know now, would I choose to do it again? How could I not? That said, why didn't anybody stop me? ​"I wrote it. I love it. I think you will too." 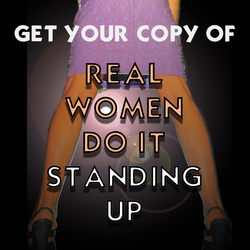 Want to read ​Real Women Do It Standing Up on Kindle; proudly display the paperback on your coffee table, or get a signed copy directly from Leighann? Why limit yourself? Let's do it all!